E3 2019 is right around the corner (yay! ), and Bethesda has announced when you'll be able to watch its 5th annual E3 showcase. The publisher's conference will occur on Sunday, June 9 at 5:30 p.m. PST in LA. Bethesda says it's planning to invite fans back for the conference and to stay tuned to its social channels on how to register for a chance to attend. But what games will be there!? Great question. Doom Eternal, which was announced at last year's QuakeCon, is guaranteed to make an appearance. Everything else is speculation. 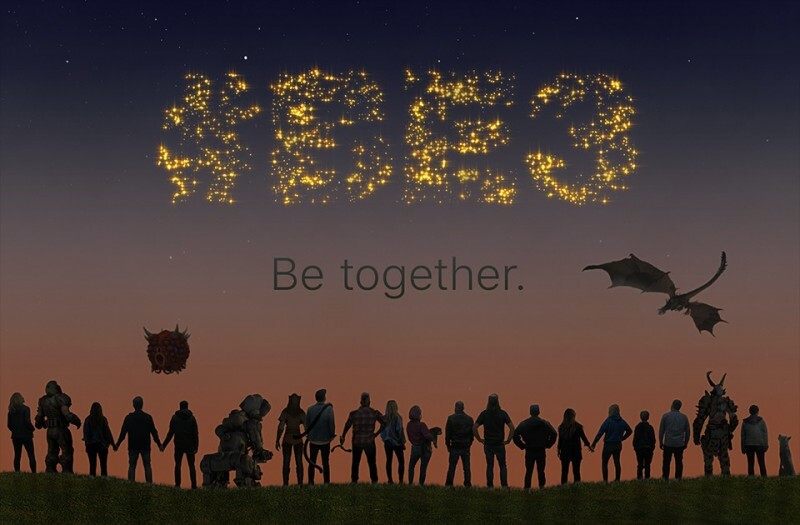 The image released alongside the announcement, which shows Bethesda characters and fans looking to the night sky, could be a tease for Starfield, the mysterious project Bethesda revealed at last year's E3. It's likely Fallout 76 will make an appearance – Bethesda recently laid out its post-launch DLC plans for the ill-received multiplayer game. If the company gives the title a good showing, it could be the reversal of fortune Fallout 76 needs to regain positive word of mouth. Rage 2 will have just launched before the publisher's showcase, so perhaps we'll get a DLC announcement? Elder Scrolls Blades, the mobile game Bethesda revealed at last year's E3 then delayed to 2019, might be at the show if it doesn't launch before then. And as for Elder Scrolls VI? Well, miracles can happen, but don't hold your breath.